State College, PA - 10/22/2016: Marcus Allen (2) blocks a Tyler Durbin field goal attempt late in the fourth quarter. 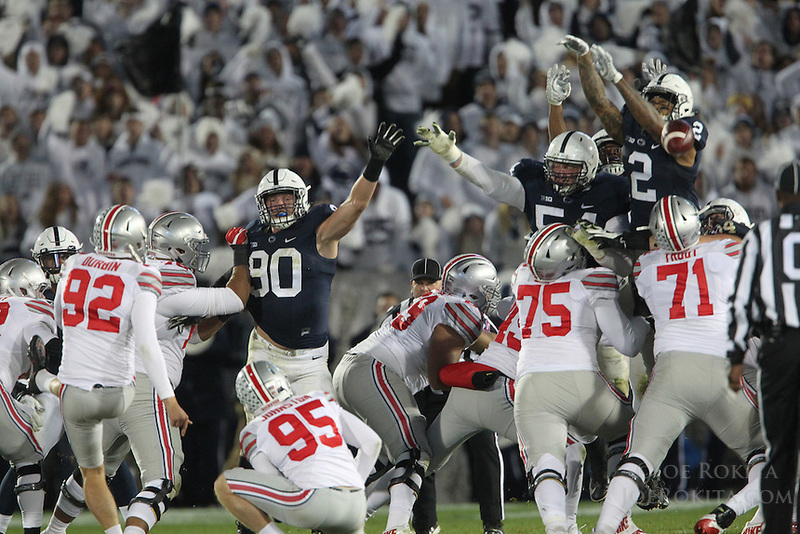 The blocked attempt was returned for a touchdown to give Penn State the lead. Penn State upset #2 Ohio State by a score of 24-21 on Saturday, October 22, 2016, at Beaver Stadium in University Park, PA.